Daniel Cormier takes on Anderson Silva on only days notice after Jon Jones fails a pre fight drug test earlier this week. It will be at light heavyweight, and the belt won’t be on the line. Check out here our betting preview on the Cormier v Silva fight with tips, best odds, exclusive betting offers and no deposit free bets on UFC 200! Abderson Silva is one of the greatest pound-for-pound fighters in mixed martial arts history, but time waits for no man as his last win came in 2012. The 41-year-old has just one win (which was ruled a no contest) in his last four fights. Most recently, he lost to Michael Bisping via unanimous decision in February. 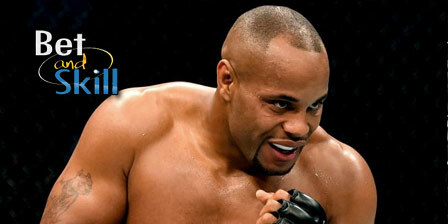 Plus, Silva is taking this fight at light heavyweight instead of his usual middleweight bouts. The Brazilian has fought at 205lbs three times, in the period between 2008 and 2012, winning all three bouts by first-round knockouts. Silva’s unique fighting style, experience and striking speed and accuracy does not give him a realistic chance in this matchup even if this is a three-round non-title fight, that works in his favour. The Brazilian has never been an underdog in his 20 UFC bouts to date but this time he is more than an outsider! "Daniel Cormier v Anderson Silva predictions, betting tips, odds and free bets (UFC 200)"